There will always be mixed feelings when it comes to saying goodbye. On one hand, you are happy to know that your colleague has graduated and is now ready to take on the world with what he learned in college. On the other hand, you’d feel sad as your friend is now migrating to the other side of the world (in New York) and you’d no longer see him in the dojo. Engr. 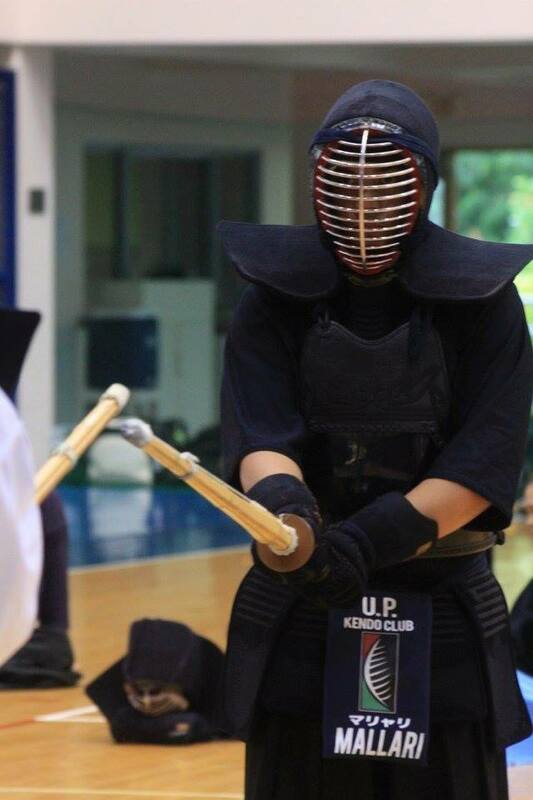 Prince Mallari (2-dan) has been with IGA Kendo Club Philippines under UP-Ken since 2013. There are so many things we could say about this change but we’ll just leave you with this post. It contains a number of inside jokes we’re sure you’re not gonna get but the whole discourse is something you will be able to relate to – an inspirational story of how Kendo was able to change a Mechanical Engineer student’s life. Kendo was not really the ideal sport for me. I had to swing a bamboo sword repetitively and my arms were not used to it. I had to move a lot and use my legs and I am fat and heavy (haha tawa pa). It involved a lot of shouting and required a lot of stamina and I am asthmatic. I knew there were so many things that I couldn’t do. But I’m glad I didn’t give up. One random Wednesday back in 2013, I found myself standing in front of a huge bulletin board in UP Shopping Center. It was typically filled with bed spacer posters. White posters filled up the board along with a few colored posters about events, recruitments and venues. In the corner of that board was a red recruitment poster for UP Ken. I never knew that from that moment I messaged the number on the poster, my life would make a huge turn. I wasn’t the brightest star when I started doing kendo. Beginners who were more athletic than me improved faster. They could swing faster, last longer in drills, and had bigger voice than me. Normally, someone like me would think that maybe this sport wasn’t meant for me or that I can just find something else to do that I think I can excel. But I’m glad I didn’t give up. A few months later I started joining Arena. At first, I was excited to see 20 people wearing bogu at the same time. I was happy to see even 1 or 2 bogu motodachi back in UP Ken. At first, training was hard. Like a typical beginner, it was hard for me to keep up. Everyone could swing 30 times while I was having a tough time doing 20. I was always falling behind during ashi sabaki drills in lines. My voice was overwhelmed by the other beginners. My sempais would always scold for not being able to do the drills properly or was too slow to do a certain drill. Kendo was a brutally painful experience for me. But I’m glad I didn’t give up. One of the happiest moments I had was when I was chosen to take the bogu exam along with 7 of my batch mates. The week before the exam, some of my sempais were kind enough to spare some time and train us in UP. We used a different area to train since the dance room was being used and the open dance area was the only one available. When doing one of the drills, my right foot accidentally got snagged by a protruding nail. The ball of my right foot was torn and bleeding. I took it to the infirmary and they had to remove the whole padded area. 5 days before the exam and I couldn’t walk properly. For 5 days, I was doing everything I could to recover. For 5 days, I was doing everything I can to practice. For 5 days, I was disheartened. On the day of the exam, I attended training, had help and bandaged my foot, and I took the exam. The pain in my foot grew worse as I did more fumikomi but I had to shout louder and louder to ignore it. I could see traces of blood forming on the edges of the bandage. My arms were tired, my voice was shaking, my foot was bleeding, and my body wanted me to stop. That was the day I passed the bogu exam. I’m glad I didn’t give up. Wearing a bogu for the first time was not really the happiest experience of my life. Bogus are not light. I thought hitting without the armor was hard enough, I was wrong. If you’re in bogu class, you probably experienced the initiation done by our sempais (I remember lying on the floor looking up to the ceiling after Kutch suddenly threw me down). Again, I wasn’t the fastest in our batch. I wasn’t the one who could keep my form, my kiai, or my hits consistent in bogu class. I was scolded again and again and again by different sempais for being slow, not hitting properly, not having good form, and even always losing in shiai. For months, I ended up being target practice for others. None of my hits were getting in. But for months, I did what I knew I could do and that was to do big men. For months, I trained at home doing suburis in front of my boarding house while other people are staring at me with a weird look in their face. For months, I did ashi sabaki training with a square pattern I made with masking tape on the floor. For months, I researched different kind of trainings and demos on how to improve my kendo at home. Eventually, I improved. My big men became fast. My fumikomi became better. My hits are getting in. That feeling made me happy. I’m glad I didn’t give up. A few months later, I was allowed by sensei to take the 1st Dan Exam. For me, that was one of the greatest achievements I had in my life. I was happy that my efforts were acknowledged… until squad training began. If there is one word I could describe squad training, it was HELL. Every week, my whole-body hurts. I was glad that I didn’t have Monday classes. When I was training for shodan, I was mostly with some of my sempais (who have more experience and are faster than me). Comparing squad training to Thursday trainings, Thursday training is a walk in the park. I can’t hit, move, or do zanshin as fast as everyone. After trainings, I always felt disappointed about myself. Watching everyone else, I felt that I wasn’t ready. But I didn’t stop. I attended training whenever I could (even on days before a major exam… wag tularan masamang halimbawa). I continued training at home even though I was already exhausted. I researched and asked my sempais on what I need to work on to pass the exam. A few months later, I took the exam. That felt like the longest 2 minutes of my life. But I ended up passing. I was overjoyed (even though I was one of the few who had to write another paragraph because our answer in the homework was lacking). The next day, we had to compete in the three-man tournament. We only fought twice but the experience was amazing. It was also the time where I first did a successful Kote-Kaeshi-Men to score a winning point in my match. It was eventually called my “Poyi” waza. The experience was amazing. Months of training finally paid off and I was part of the Yudansha. I’m glad I didn’t give up. At this point, I started thinking of what waza I want to learn. I was only good at doing me… hitting men. Eventually, people started blocking me and others would do oji-waza against it. I wanted to do a waza that looked like I would go for men but would bait them to open something up. I tried doing do for it but I couldn’t execute it fast enough to counter act the blocking. That was when I started studying and practicing gyaku do. Gyaku do was a difficult waza to learn. I studied videos from Tsuchiya sensei’s visit, videos in youtube, asking sempais advice, and asking other people to let me try hitting gyaku do. It was hard and I ended up hitting (I’m very sorry) the part above and below the do (very very sorry) with full swing (sorry talaga). But I didn’t stop trying. On my second trip to Hong Kong (which is in Japan), I took my nidan exam and passed. It was tiring for me because this time, I had to fight my one-minute shinsa consecutively (cos Yuuta is younger than me so I was second. I hate Yuuta. Joke haha). It was tiring. I thought I wouldn’t pass because my poyi waza wasn’t working and my hits are just mostly men. Thankfully, I passed. Two days after, I joined the 5-man team along with Dane, Kutch, Veron and Alain. And behold, my first opponent was a Jodan user. My only experience against a Jodan was Nakagane and Ain and it usually ended up me receiving men. But it didn’t end up as I thought it would. After a few trades, my mind went blank and the last I could remember was I was going to hit gyaku do. I started with a small raise that looked like I was going for men. At that moment, I felt no hesitation, fear, or doubt in my hit. My opponent never thought I could do gyaku do and ended up doing a sampomari block (a 3-point block where he blocks his men, kote, and right do. You’ll see it in most of Japanese highschool kendo videos). The hit echoed in the whole gymnasium and even I couldn’t believe I executed gyaku-do. I won the fight with a hit on his migi-kote. What made me happy was not the win itself but the feeling the state of “mushin” and executing a waza I always wanted to do. It was a difficult waza to learn but I did it. I’m glad I didn’t give up. Prince, it has been one of those rare joys in life and Kendo to have you as my student & kohai. Helping you grow into the kendoka you are now has been a privilege. As I was telling Loida after we dropped you off at your boarding house (oh, and no flat this time! 😀 ), I am very sorry that you have to leave us. But life as such goes on. I am sure that you will become a great asset to your new employers and to your new dojomates there in New York. I look forward to our future meetings and keiko. GDI. There is someone chopping onions in my office. 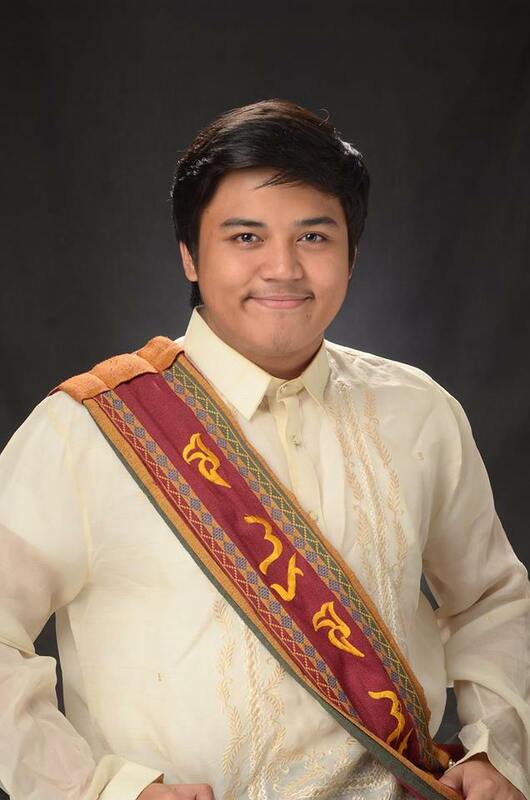 This entry was posted in Uncategorized and tagged dont give up, engineer, gyaku do, IGA Kendo Club, kendo, kendoPH, mechanical engineer, New York, pilipinaskendo, UP, UP Kendo Club. Bookmark the permalink.